Last month Murad released their Christmas Kits - bargainous sets of skincare with big savings. I was sent the Embrace Balance box to try out. Regular readers of my blog will know that I am quite particular about what I try on my face as it's very prone to spots, but after reading all the bumpf I was happy to give this a go. The back of the box filled me with hope with this statement 'Clear pores and embrace beautiful, radiant skin. Three simple steps balance oily and dry zones while removing dull, dry cells for skin that is smooth and shine free.' It sounded ideal for my skin - dry patches, oily patches and spotty patches (mmmmm). The kit contains 50mls Pomegranate Cleanser, 60mls T Zone Pore Refining Gel (which is actually bigger than the full size 50mls worth £50! ), 30mls Pomegranate Moisturiser SPF 15, and 2 Pomegranate Exfoliating Masks. I love the size of the bottles - they are perfect for putting in a wash-bag while traveling, or staying over at a friends house without having to scrimp on skincare during your stay. You'd think that they wouldn't last very long being these sizes, but I have been using these products religiously for around 4 weeks and they are all still at least half full. The cleanser comes in a pump-bottle which dispenses it as foam. One or two pumps is enough to cleanse your entire face. I have been applying it to my face using my Clarisonic Mia. It has a light fruity, refreshing fragrance. It feels very light, and doesn't irritate my skin at all. At night I have been using a Simple facewipe to take off the bulk of my make up, then using the cleanser to remove all the rest of the grime and excess make up from my face. As I am using Retin-A I seem to need a bit of extra exfoliation for the dry patches, so I remove the cleanser using an Emma Hardie muslin and microfibre cloth. The moisturiser is gorrrrrgeous. It's oil free yet very moisturising. It's lightweight and is like an instant blanket of comfort over your face once you massage it in. It totally restores my face to a natural balance and doesn't leave me looking shiny, or feeling greasy. I wouldn't say my skin is any better or worse since I have been using this range, but this in itself is a massive achievement. I've pretty much come to the conclusion that my skin will never be perfect, so the fact that these products could maintain the condition of my skin is fabulous! 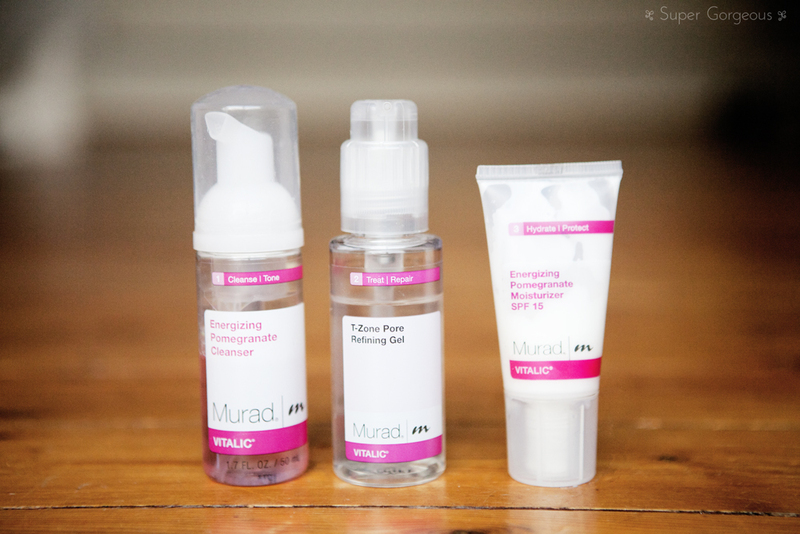 If you're interested in this kit, it's only £39.50 from www.murad.co.uk and is actually worth £78. If you're looking to try a new regime, I would recommend Embrace Balance highly! Im so tempted by these kits, my boyfriend got the Clarifying Mask in his GB and I've stolen it off of him!